Who is ready for a romantic adaptation? 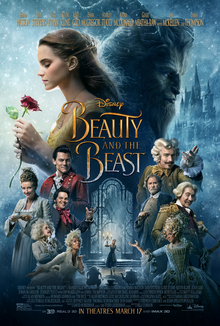 Nicole and myself will be pressing play on Beauty and the Beast at 8:00 PM EST. Be sure to tweet along with the hashtag: #whopickthismovie. I will be tweeting over on the Romantics at Hart account and Nicole will be tweeting form our sister account Pick This Movie. I would love to see your tweets during the movie! I just know this will be amazing! Happy Romance Reading + Tweet with you soon!